Back in India | Walk with us! Well, I made it to Mumbai on time and without any airline snafu or Mother Nature getting in the way. Going halfway around the world takes time no matter how you choose to go. 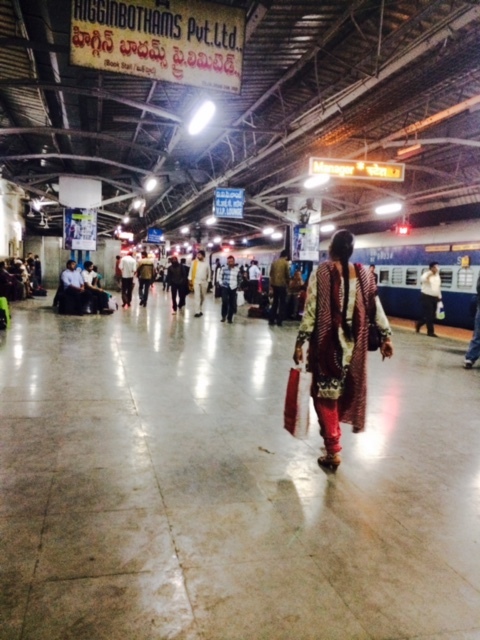 I landed in Mumbai right on schedule and even though it was 10:30 pm there were lots of customs officials on hand so that everyone passed through passport control quickly. Fr. Aji, the pastor of our parish here (Divine Mercy) and Fr. Thomas Vinod, district superior, were there to meet me, along with a good soul from the parish who offered to drive us. Since both passport and customs were quick we were on the road in almost no time. I asked what the plan was for today and was told that we’d leave the house at 6:15 am to catch a train for Neural, about an hour’s ride on a local commuter train. That did not give me many hours of sleep! Fr. Abraham was kind enough to make us all a good breakfast to give us a jump start and get us on the way. Fr. Thomas and Fr. Aji pray during their visit to a church in Neural (about an hour by train from Mumbai). The SCJs are in dialogue with the cardinal of Mumbai about taking over pastoral care of the church. 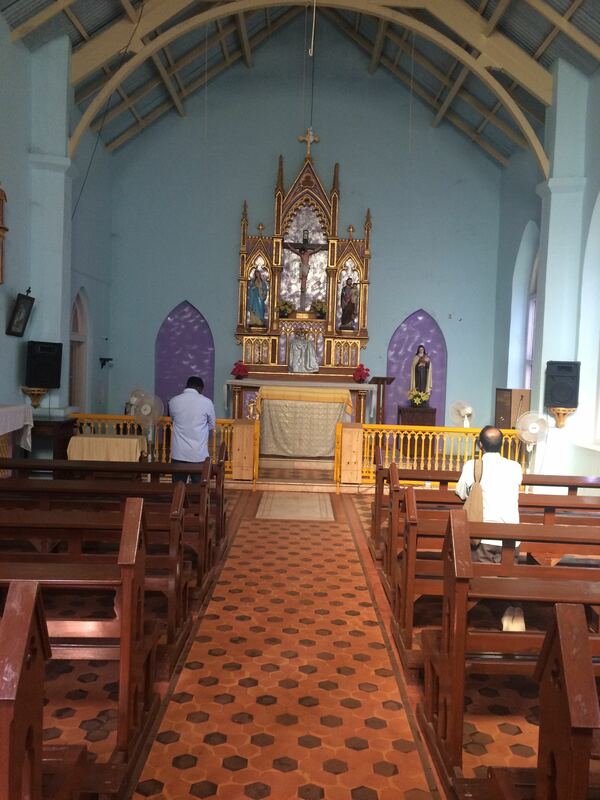 The purpose of our trip was to look at a small parish the cardinal of Mumbai suggested that the SCJs take. There is also the possibility of a school along with the parish. The school is currently operated by an order of religious sisters who plan to soon withdraw from it. It has almost 300 students and is in a tourist area up in the mountains about nine kilometers from the Neural train stop. As the district looks for land to build its future district/provincial house [headquarters] this is one area under consideration. It is at the moment still more rural than urban but you can see development is quickly taking place. This is in part spurred by the future international airport that will be located nearby. The church was constructed in 1858 but is well taken care of. I am not sure how many Catholics are in the area or how many tourists take advantage of the Sunday parish Mass. If I understand correctly, this church would be considered the mission church of the parish that, I think, will be based in Neural.